How do I rate and review your podcast? Do you have any spiritual oversight for Oh Hey Truth? I have a show idea that I would like to share? How can I do that? Do you take sponsorships or endorse giveaways? Reviews are welcomed and greatly appreciated! To leave an iTunes rating on your iPhone or iPad, simply search for “Oh Hey Truth” through Apple’s podcast app. Click on the OHT album art and scroll to the bottom where you will see “Write a Review.” There you can rate and submit a podcast review. Yes! Each member of the OHT team are active and contributing members of local churches. Through the church body we have the oversight of pastors, elders, and older women who speak into our lives. Along with this, we have welcomed a team of trusted men and women into the happenings of OHT. These people help review our content to ensure it lines up accordingly with scripture and that it is taught in a healthy manner. We would love to know what topics or areas of scripture our audience would like to hear discussed on the podcast! While we will occasionally welcome women that we know and trust into our discussions, we will not be taking name suggestions at this point. Any show suggestions or topics can be sent to jill@ohheytruth.com. Yes! We would love for you to support OHT by becoming a podcast sponsor! If you are interested in becoming a sponsor or would like to learn more about endorsement giveaways, email jill@ohheytruth.com. All sponsors will be reviewed to ensure they do not contradict the mission and vision of OHT. For iPhones and iPads, many listeners use the free Podcasts app that is on your device. It comes pre-installed on all devices. Open the app, search for “Oh Hey Truth” and hit subscribe. If you are using an Android, consider using the Stitcher app. In Stitcher, search for “Oh Hey Truth” and click the plus sign (+) to add it to your Favorites List. Go to the Favorites List, and tell it to download new episodes by clicking the gear in the upper right corner. If you use Spotify, search for "Oh Hey Truth" under Podcasts and Videos. You can listen there to any of the episodes. 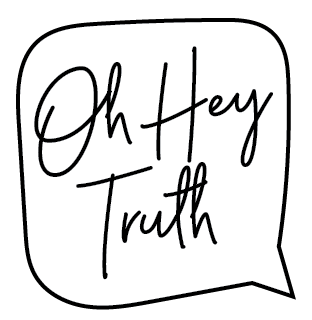 If you use Google Play, search for "Oh Hey Truth" under Podcasts and Videos. You can listen there to any of the episodes. Can I feature Oh Hey Truth on my site or interview one of you for my podcast? Thank you for asking! We'd love for you to share our content and link back to our website, Facebook, or Instagram account as appropriate. For interviews or articles, please contact us at jill@ohheytruth.com and we will be in touch. What are your favorite resources for bible study? We are so excited for this question! We are working on our resource page and are in the process of creating some free downloads to help you in studying the Word. We hope you will check that out on our website! 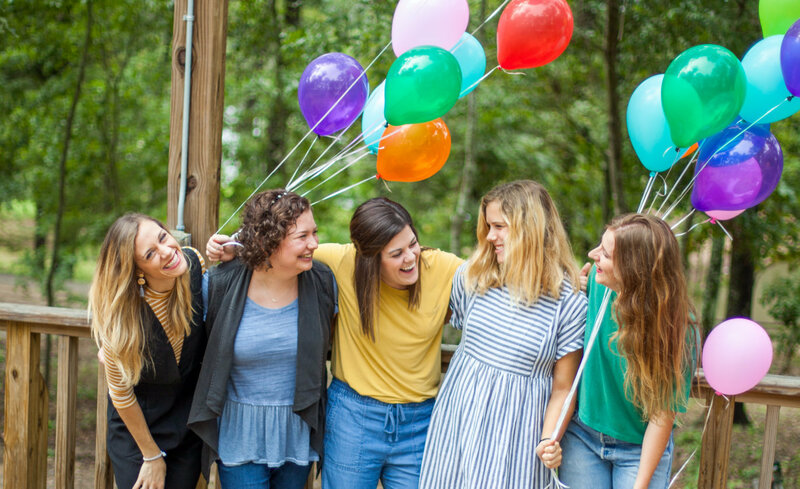 You can also follow @ohheytruth on Instagram and Facebook to get daily updates on all our favorite resources! Do you have any recommendations for other podcasts to listen to?